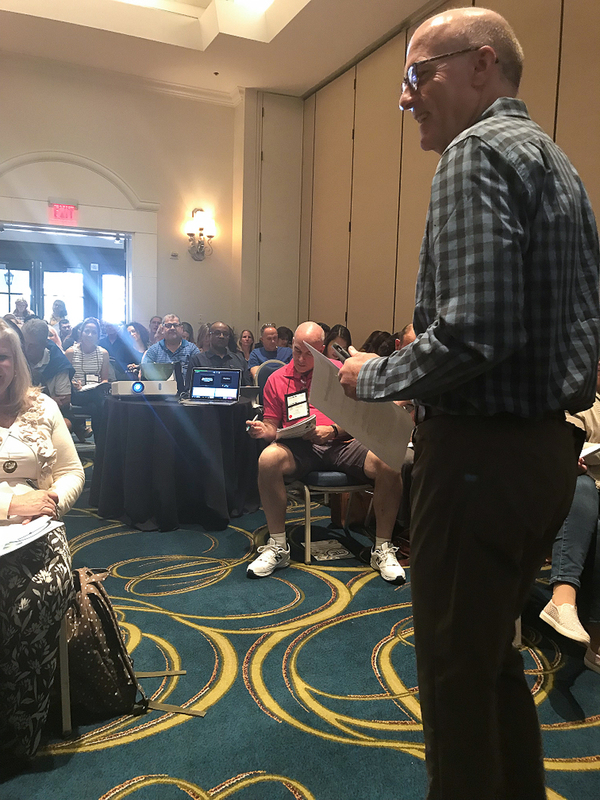 El Camino Real High School’s (ECRHS) ROP Digital Design teacher, Mr. Reid Petersen, addressed a group of fellow educators at the November Career Technical Education (CTE) Conference in Palm Springs. “His workshops were so popular there was standing room only for both of his sessions,” said principal, Carey Cecil. Mr. Petersen workshops were focused around the themes Creativity in the Classroom and Developing Engaging Presentation. As a follow up to his first formal presentation at an educational conference, he provided the training on Creativity in the Classroom for his colleagues at ECRHS during their Monday PLC after the Thanksgiving break. “The Raptor team is excited to implement his ideas, and the social science team has already done so by using the limited language of a typical Tweet of 150 words to recount historically significant events,” Cecil shared. Be the first to comment on "El Camino Real teacher shares CTE wisdom with fellow educators at conference"